George Baker (Europe) Ltd are a leading provider of logistics solutions. We offer full load, daily groupage and part load services to and from all European destinations. Using our own fleet of vehicles coupled with long established links with reliable partners, George Baker (Europe) Ltd is able to provide modern equipment at a competitive price with a high level of service. We have all types of trailers available to suit customer requirements including: Tautliners / Euroliners / Tilt / Mega / Jumbo Road Trailers / Refrigerated / Flatbed trailers as well as oversized and abnormal cargo. We are also able to provide “express just in time” deliveries (including ADR goods) with our own fleet of vans. We are part of the George Baker Group wholly owned and run by the Baker family, an established independent UK brand recognised for its quality and reliability. Our headquarters are at the Port of Felixstowe where we own a large Customs AEO certified depot and bonded warehouse. 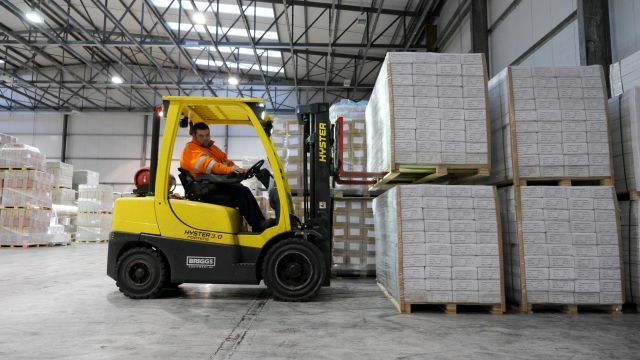 Our premises are equipped with dock levellers across multiple loading bays. We are ideally situated to accommodate the safe cross-docking of full container and trailer loads which require unpacking, re-stowing or loading for urgent onward delivery domestically or into Europe. Coupled with this we are able to provide a warehouse / cross dock operation in Birmingham, West Midlands. Our sister company George Baker (Shipping) Ltd is widely acknowledged to be the 'UK's Customs clearance specialist' having become market leaders in this field over the last 35 years. Direct computer links to the UK HM Customs enable fast and efficient Customs clearance services at all UK ports, and subscribing to all HM Customs regimes ensures that our customers have access to facilities such as duty deferment, Community Transit guarantee, NES export documentation, Bonded warehousing, CFSP and ERTS. 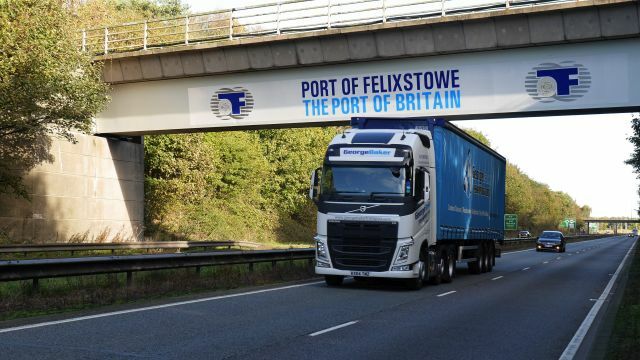 With offices in Felixstowe, Birmingham, Dover, Southampton and Dublin we are committed to both quality and service, and over the years have assembled strong teams, each with a wealth of knowledge, experience and industry expertise. George Baker (Europe) Ltd has rapidly earned a proud reputation for their friendly and helpful approach, providing solutions to meet precise individual customer requirements.